WE’RE back in the fair parish of Dalton near Parbold, this issue for Killer Hills. Dalton sits on both the north and west slopes of Beacon Hill, which includes not just the climb of Ashurst Beacon and Crow’s Lane, but also Crow’s silent sister – the mad one that’s been kept in the attic all these years, Long Heys Lane. Skimming along Lees Lane one afternoon – at near pro-rider pace, of course – I passed the private fish pond on the left, with the various notices forbidding this and that. Here, I wondered once again whether the side road on the right, which that features the grammatically incorrect sign ‘Dingles Bungalow’, led all the way to the top of the beacon in one steep and swift ribbon of Tarmac? The answer is not quite, but it’s still worth taking a look. The residents of Dalton live in a relatively unspoilt patch of Lancashire. Who can blame them if they like to keep it that way? Leaving access lanes that join to busier roads to crumble into disrepair is a sure way to avoid too much traffic past your house. Long Heys Lane is one such road. At the summit, where the lane pops out just before the Prince William pub, there is a ‘dead end’ sign. Don’t let this dissuade you though – it’s a lie. But then, we want to start this hill at the very bottom, not at the top – ’cos that would be cheating. 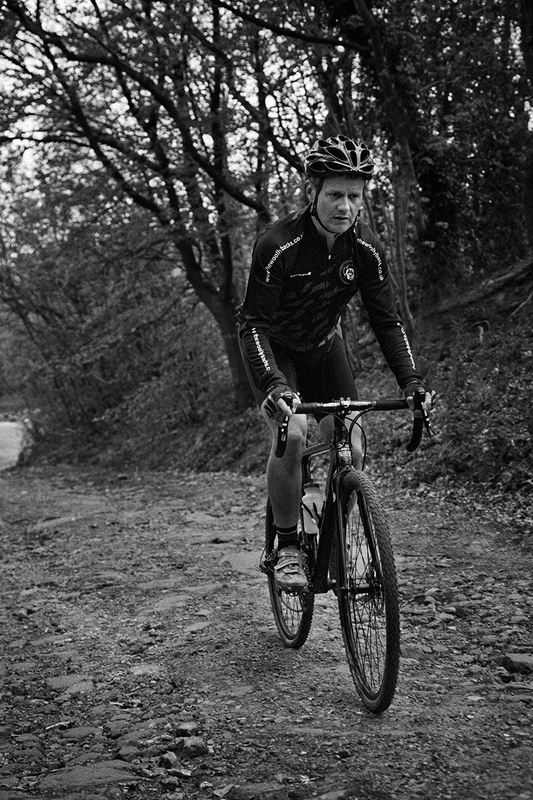 Turning off Lees Lane at the bottom of Long Heys Lane, you climb a section of concrete road and then a section of extremely rutted track just passable on a road bike. It’s at this point that the road steepens again. Once through the trees, there is a 100 metre section of lane that’s been washed away to bare bedrock, gouged banks and exposed tree roots of biblical wrath. This is strictly 4×4 territory, which is fine for the locals as it means most flyer tippers turn around right here. Luckily, cyclists are made of sterner stuff and it’s a lovely climb on a cross or mountain bike. If you’re on a road bike, it’s pushing time – but only as far as the next right-hander, where you’re back on a fairly decent surface again for the duration. Once back in the saddle, there is lovely fresh woodland on your left, as the lane takes you west across the vale. You’re now right above Lees Lane, with fine views over to Parbold Hill, until you reach a set of houses and a curious concrete bridge on your left spanning a stream. It looks as if it was built for livestock, but a resident informed me that it was built by a neighbour that bred pigs. Nothing to do with livestock though – ‘he was a just bit crazy for DIY concrete’. The neighbour is long since deceased, but his work stands – a little frayed at the edges, like some crazy work of a Lancashire Ozymandias. Anyway, back to the business at hand. The road kicks up here to 12 per cent for two short stretches – through the trees and around another right-hander, where your thighs start to scream and then the hill hits you with a final tough section before adding a little light headwind as a cherry on top. You’re now at the top of Ashurst by the most direct and quiet route. 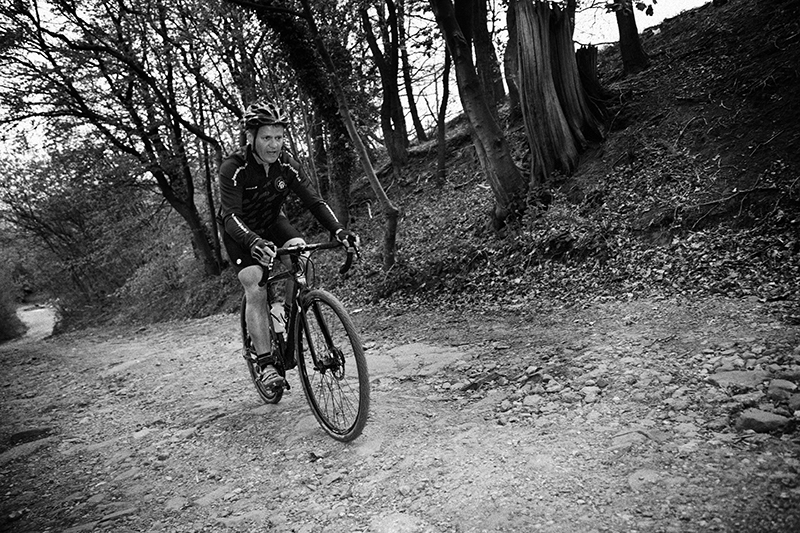 It’s steeper then Crows and according to John Moore – our model for this issue – it’s a regular route for mountain bike groups such as The Woollybacks, as there are handy access lanes off the climb at a couple of points and the rough rocky road at the bottom is a perfect technical surface for year-round climbing. With council budgets skimmed to the basics, it’s unlikely that the road will be restored anytime soon. Maybe the residents and council have reached an unspoken agreement to pretend that the road is impassable? It’s a shame for cyclists, as installing even a thin strip of asphalt along one edge for the 100 missing metres would make Long Heys Lane a superb climb for roadies. Also, with only a handful of houses along the route, it wouldn’t be too inconvenient for residents to meet the occasional cyclist. Unfortunately, that’s not the kind of generous joined up thinking that council highway departments and non-cyclists are known for. If you have a mountain or cross bike go take a look at Long Heys Lane. 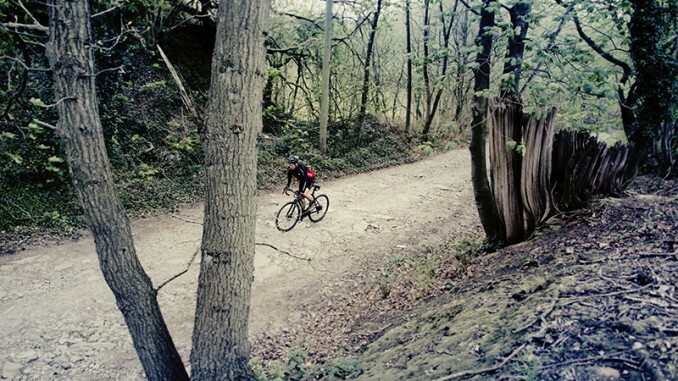 Even with a road bike, in the dry, it’s possible to pick your way over the rough bits and enjoy the rest of the climb. 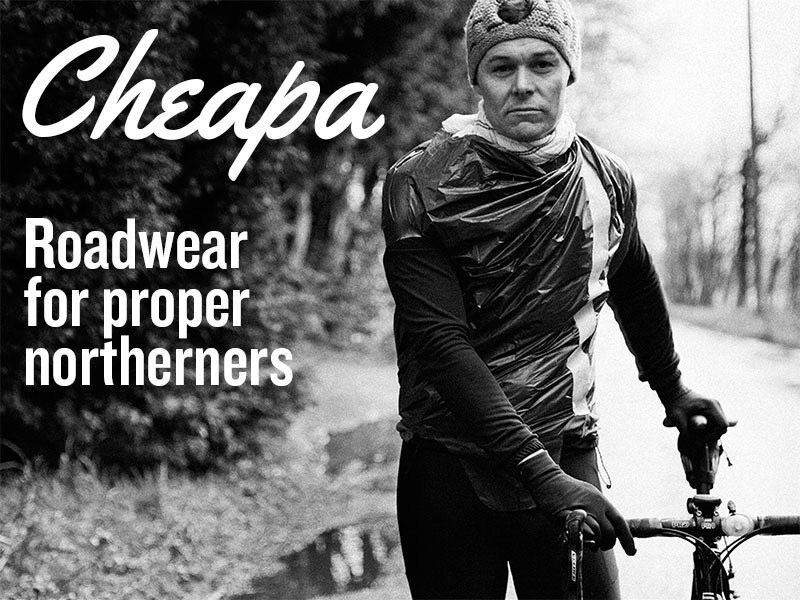 Give it a go and remember to smile at the locals – it’ll help get them used to the idea that bicycles are back for good.